Words can’t express my feelings about this topic, but no effort to share my feelings would be an injustice to the memory of Sophia. Despite popular belief, living in Hawaii doesn’t grant immunity to the hardships of life. Sophia DeLoria passed away on Tuesday, May 31st, 2011 in Maui, Hawaii. She was 8-years-old. She was my neighbor. Over the past year, since moving to Launiupoko, Sophie was constantly at my place — the house she grew up in. I adored Sophie. She was like an adopted daughter. I gave her piggy-back rides in the back yard, we played tag together and she beat me racing constantly (and I’m a fast runner). She would sneak into the house when I wasn’t home and leave flowers on the counter. I was subjected to countless kid movies when Sophie was visiting. She ate all my Cheez-Its, jelly beans and Halloween candy. She was beautiful, talented and super intelligent — she understood the movie Inception! 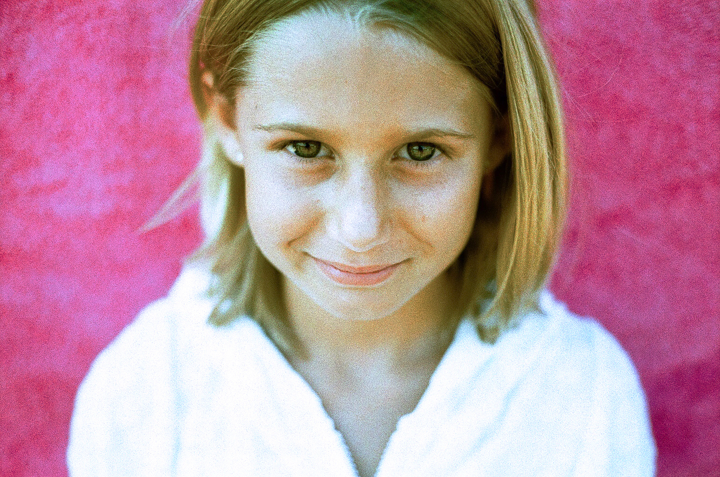 Sophie was a light — everything a kid should be. An energetic, outgoing little girl always recovering from some minor injury, riding her bike around the neighborhood, selling lemonade in the driveway, bringing her friends over to meet the dogs. Sophie was the kind of kid that makes you love life and realize what it’s all about. As my Dad said when he met her over the holiday’s, “She’s a pistol.” Sophia made an impression on anybody that was lucky enough to meet her. I imagined she was invincible. I thought we would share many more memories together. I thought I would have the chance to take her surfing, watch her grow up and hear about her successes in life. Sophie and I shared pancakes together the morning before her and her family left for Memorial Day weekend. I looked after their dog, Charlie “Butch” (best friend to my dogs), while they were away. In Hana, an unthinkable, freak accident occurred. Sophie was killed by a rock slide at Oheo Gulch. I want to express my sincere appreciation to JD and Susan for raising such a beautiful, wonderful child. They are parents of the absolute highest caliber — on the same pedestal I place my parents. How something so horrible can happen to such great people is beyond me. I am so sorry. Sophia made me want to have kids. She was an inspiration, and I will never forget her. The world is chaos. Life is unfair. An event of this magnitude is enough to shake the fundamental beliefs of anyone. I believe there is a God, but not in the traditional sense. I don’t necessarily believe in a benevolent being watching over us from the clouds. I believe the Bible is full of truth, but not in a complete literal, historical sense. I feel the same way towards all other ancient religious texts. I believe in a presence, supernatural energies, alternate dimensions and unexplained phenomena. I’m not willing to discredit anybody’s belief, because it’s all equally crazy and possible in my mind. I can accept that it’s perfectly plausible there is no God, but at the end of the day I want to believe in something. I want to believe in an afterlife. I want to believe it’s great, and I want Sophie to hug me when I get there. I’m helping put together a website for Sophia. It is currently in development, but feel free to sign the guestbook and let Sue and JD know you care.